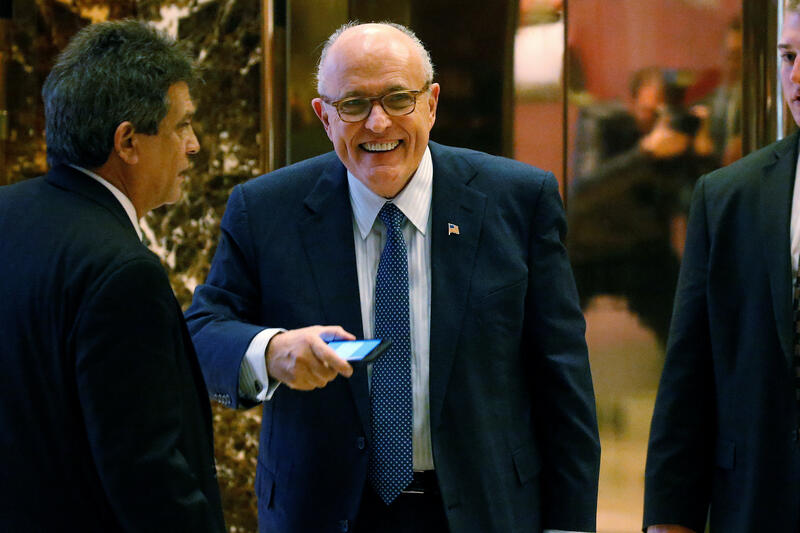 The battle to become President-elect Donald Trump’s secretary of state appears to be down to three men: former New York City Mayor Rudy Giuliani, 2012 GOP nominee Mitt Romney and former CIA Director David Petraeus. CBS News’ Major Garrett reported Tuesday morning that Giuliani is still the likeliest pick -- but that as Mr. Trump meets with Romney over dinner in Midtown Manhattan tonight, it’s hard to discount Romney as a top pick as well. Some Trump loyalists -- adviser Kellyanne Conway chief among them -- have been publicly criticizing Romney in an effort to keep him from getting the top job. Conway has both tweeted about Romney and went on two Sunday shows to torpedo his chances. But Mr. Trump is not upset with Conway for speaking so publicly against one of his Cabinet prospects, sources tell CBS News. The third candidate still under consideration for the State Department post is Petraeus, the former CIA head. After meeting with Petraeus Monday, Mr. Trump tweeted that he was “very impressed!” However, Petraeus is also being considered for other positions, such as the Director of National Intelligence. Sen. Rand Paul (R-Kentucky) said Tuesday morning that he sees a “potential problem” with Petraeus at the State Department, given his past admitted mishandling of classified information. Senate Foreign Relations Committee Chairman Bob Corker (R-Tennessee), who is also meeting with Mr. Trump on Tuesday, is meeting with the president-elect more about the confirmation process for State, Garrett reports.